What is "My Movie Travel"
We capture all your emotions & feelings in one single shot! Have you ever thought that when you travel that there could be someone who could capture all your emotions, landscape, people, food, activities & adventures that won’t be enough for your selfie camera? How many photos and videos do you take while travelling and you never get to watch them again or rarely do you ever look at them? With my movie travel, no matter where you go on holiday, trip or excursion, to the sea or to the mountains, city center or country side, desert or into the north pole, no matter which event you are attending (wedding, birthday party, camp trip, business meeting, bike trip, family picnic, your kids school events, and so on, someone will be there to catch the best moments. In the end all the material will be carefully processed in our studio in the most original way, and within 5 to 10 days you will receive them on DVD either Cloud Transfer or your own Movie or Film. You can upload it and share it on social media or 33333 keep it for you. The most important thing is satisfaction and keeping a unique memory that can last for long time. Imagine a wedding movie but in a different way. I mean new, fresh and funny, not boring & long. The personalized movie will express your real experience, without “photo shopping” your emotions, the behavior and places you have been visiting. 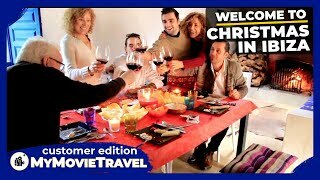 My movie travel will show in an entertaining way to all your friends, the unique way of your travel experience. Competitive prices. Quality/price rapport is the best possible. High quality editing skills by taking out the best of moments possible. Final movie it will be easy to upload and share with all your friends. You also can choose different camera man profile starting with more active and be present almost always next to you, either a low , quiet profile whos recording all images from distance without even notice him or a middle version which will combine both styles. For those who are shy in front of the camera, our camera men will keep safe distance as they shoot your movie "secretly". For those who would like a blend of low and active profile camera man. Active camera man will be there most of the time next to you, interacting and questioning some of your moments, and having fun together. -HD Film edit & delivery on DVD or cloud sharing. Transport and accommodation in case the holiday, excursion or location is not in our shortlist. Transport if our local camera & guide is booked already and someone else has to reach your location. *even if this location is on our shortlist. If you have your own event and you want something special, you have a unique idea such a "Love movie" for your boyfriend/girlfriend, or even a happy birthday movie, why not surprise your friends or family, you can contact us and check with us for availability and the price for such an event. Consider the time and effort we can negotiate the price according to your needs. So don't hesitate to ask us about SPECIAL PERSONALISED MOVIE. Payment can be done through bank transfer or PayPal transfer. When you book one of our services you must pay 10% of total amount as booking fee. All account information will be sent to you by e-mail when you make online pre booking. In case you cancel your booking with more than 30 days before the event you will get full refund. If you cancel with 15-30 days remaining, we will keep 5% of your transfer. If you cancel within 2 weeks before the event we don't refund. We are a young and ambitious team who have been working together and have built up this project from scratch since the end of the year 2015. We gather all personal experiences around which include; more than ten years of travel around the globe, graphic design, over five years of video shooting experience, local guiding, customer service, tourist entertainment, underwater scuba diving and accommodation rentals. But most importantly besides that is our heart & passion to create and develop new concepts. Contact My Movie Travel team now! Check our social media accounts and follow us there for more photos, video and informations. We are ready to reply to any of your questions or inquirees within 24 hours. My movie travel is here for you. Send us your name, phone number and e-mail where we can contact you directly about any concern you have. We are at your service and will reply within 24 hours.